Senator Bill Cassidy says vaccination rates should be posted in schools. Are Your Kids’ Classmates Vaccinated? 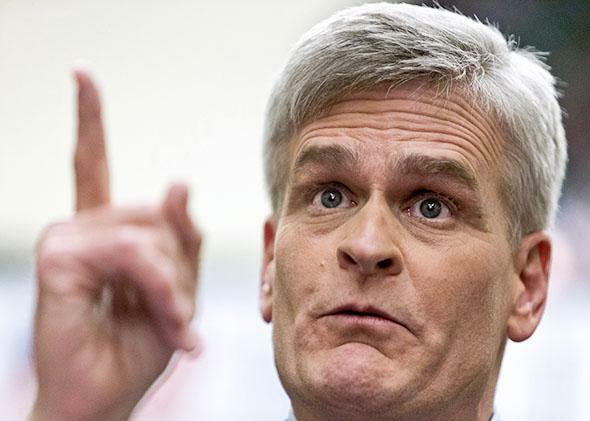 Bill Cassidy wants YOU to get vaccinated. One freshman senator thinks parents should know whether or not their kids are surrounded by unvaccinated classmates at school. Mark Sawyer, a medical doctor and professor of clinical pediatrics in the Infectious Diseases Division at the University of California–San Diego, concurred with Cassidy. Though he’s just started his first term in the Senate, vaccination issues are familiar territory to Cassidy. The New Orleans Times Picayune writes that he “launched an aggressive Hepatitis B and flu vaccination program for school children in East Baton Rouge Parish.” That effort, called the Greater Baton Rouge Hepatitis B Vaccination Program, helped 36,000 kids get the HepB vaccine, per his testimony before a House Oversight and Government Reform Committee hearing in 2010.